Ben and I rolled up the garage door one morning to find this beast casually parked outside as if it were nothing special. That's the beauty of relocating ourselves out here in the heart of a flourishing automotive world. Everywhere we turn there's something new, inspiring, or jaw dropping to feed our automotive passion. 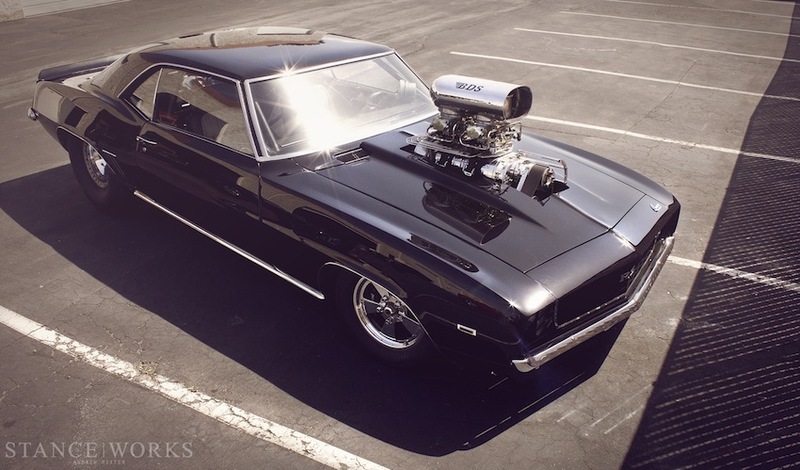 Between the aggressive rake, staggered wheels, and meaty tires, this tubbed-out Camaro had a steamroller style stance showing that it means business. Just another sunny-day in Southern California.. can life get much better?